Fourteen years after becoming an affiliate of the American Hockey League, it appears the Norfolk Admirals franchise will be sold to its parent team – the Anaheim Ducks. 10 On Your Side sources confirm that the move is inevitable as part of a new AHL Western Division that is expected to be created by five NHL teams. The Calgary Flames, Edmonton Oilers, L.A. Kings, San Jose Sharks and Anaheim all have AHL affiliates on the east coast and moving those affiliates to the west would save time and money when players are sent up and down from the major league level to Triple-A. 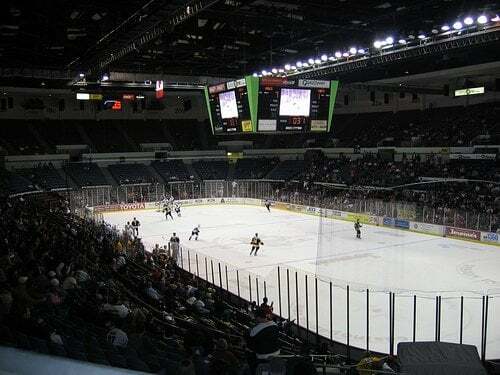 Sources tell WAVY-TV and FOX 43 Sports Director Bruce Rader the sale of the Admirals may not be finalized but it appears to be a “done deal.” The AHL franchise would be sold by Young to the Ducks, and this would be its last season in Norfolk. This does not necessarily mean the end of professional hockey in Hampton Roads. Sources say the city may attract a team from the ECHL – most likely the Bakersfield Condors, the double-A franchise owned by Edmonton. Although the Oilers would own the team, there is speculation Young will manage the franchise and the team will switch its name to the Admirals and continue to play its games at the Norfolk Scope. There can be only one, but how ignominious to be outlived by a skeleton. It seems like Fresno, Long Beach, and Abbotsford (Canucks only) could also be markets to consider, if only because they have the facilities. But if the AHL sets up a 5-team league that only plays itself in California, it's gonna be an ugly disaster that probably will also manage to screw the ECHL at the same time. Why would that be a disaster? If you're saying that they just cycle through the five teams over and over, then yeah maybe. There's going to have to be some schedule adjustments to make this all work. Didn't they kind of do this with their Texas/OKC circuit? As for the ECHL, they could probably stand to be a little bit more EC than they've been since the mergers, anyway. Yeah, the talk all has been that the AHL West would basically function as its own league until the playoffs, as the ECHL West does now. So in a 5-team league, that means playing each opponent 18 times in a season, and always one team unable to play, which probably leads to a lot of scheduling of games on less desirable nights. It also probably bones alignments in the Midwest and Texas, though to what extent, I'm not certain. There's still a lot to shake out here. One unrelated thing that has to happen - I mean has to - is that Peoria either goes back up to the ECHL or drops to juniors like Bloomington did. 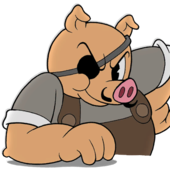 The SPHL is running a 9-team league with 8 southern teams and Peoria. Take the hint, Rivs. It would be weird having a 5-team pseudo-league; is there any chance there are some games played against central teams (Iowa, Texas, Milwaukee, etc.) --or less likely--are there going to be more than 5 teams on the West Coast? Having just 5 teams playing amongst each other is stupid. If it were up to me, I'd bring back the IHL and have all of the Western Conference teams put their affiliates there. Also, I'd be in favor of Peoria dropping to juniors. The USHL needs more teams in "hockey states". 4 teams in Iowa, 3 in Nebraska, South Dakota? It's a joke. As I've said before, the solution I'd favor would be an 18-team AHL limited to Pennsylvania, New York, Ontario, and New England, and then a 14-team IHL of the West, South, and Midwest. The extra two teams would be to give a leg up to the inevitable NHL expansion teams and to temporarily liberate NHL teams from affiliating with the Wolves. The Junior Rivermen would die a quick and ugly death. ECHL or bust. Yeah, there's really no tradition of junior hockey in most of the US. That's why they're in little towns or community rinks in bigger towns. Janesville has a junior hockey team. That means they have more hockey teams than they have job openings. Colorado Avalanche move their farm team from Cleveland to Loveland (Eagles). Columbus leaves Springfield for the now vacant Lake Erie. Springfield and Portland can get away with low attendance because they have such low travel costs. Also, it's always a quick drive to Boston, and you can fly to anywhere of NHL relevance direct from Boston. Also the AHL is headquartered in Springfield. Springfield's had bad attendance forever and could go down to an attendance of "friends and family" and even noted NHL lickspittle David Andrews would still say "now wait a second..." to a proposed move. EDIT, also Lake Erie is owned by Dan Gilbert, who basically uses the team as a loss leader to fill arena dates. You're going to have difficulty prying that franchise loose. They're a Jr. A team. $100,000 in "go away or add a Jr. to your nickname" money will be more money than they've ever seen at once. Another wrinkle to all of this is that Montreal is looking to put their farm team in Laval. That would mean Hamilton would be without a parent club, and could go to the OHL. What I would be interested to see would be Winnipeg moving their farm team to Hamilton, and Quebec's NHL team (c'mon, it's inevitable) picking up the IceCaps. An additional strike against Springfield as one of the relocation sites is that the MGM Casino is moving into town, and has already announced a partnership with the MassMutual Center (where the Falcons play) and has sponsored the Falcons since 2012. The partnership proposal states that MGM commits to an additional three-year sponsorship post-opening of the casino. That's not to say that such a proposal couldn't be transferred to an ECHL team, but it does give some insight as to why a lower attendance number is less of a worry in Springfield than in other places. From what im reading, this'll be the death of the AHL as I know it, and I dont like that idea. The AHL as you know it died in 2001. I always have a soft spot for the Falcons and wish they would draw better. They have a pretty committed core of fans and if you're in between Hartford and Springfield, the Falcons are by far the better bargain compared to the Wolf Pack, who charge as if the Whalers are still in town. I also figured the Falcons would start drawing more since they were winning. I'll never forget the vision of Bruce Landon throwing up his arms and leaving the Civic Center as the 2004 Falcons dropped another third-period lead to Lowell. Fun times. To answer the question about the California sub-league, it's kinda like that in the West division. I don't think the Stars even play an Eastern conference team this season. I remember last year when my dad and I were going to try to see if the Falcons came to CPC, to see that the easternmost team was Charlotte or Rochester. I don't know if any other teams do it that way though.